You may feel setting long-term and short-term goals is a waste of time, especially if you live by the old proverb, "Man plans, God laughs." Don't make that mistake. Not planning for the future can make for a chaotic one. 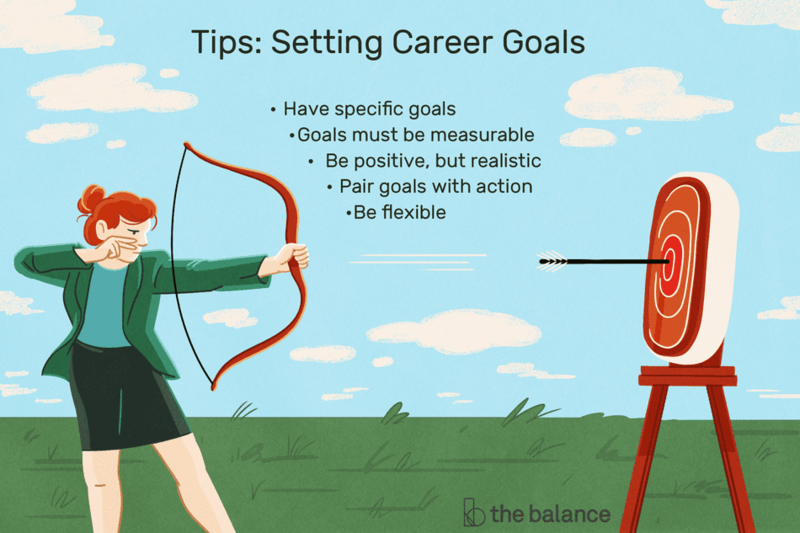 Setting goals is a significant component of the career planning process. To have a successful and satisfying career, define your goals and devise a strategy to achieve them. A roadmap that will take you from choosing an occupation to working and succeeding at it is called a career action plan. Your career action plan must have both long and short-term goals. It is imperative to include the steps to take to reach each one, along with ways to get around barriers that might get in your way. Since plans, even very well-thought-out ones, don't always work out, it is also essential to include alternatives to implement when the need arises. Goals are broadly classified into two categories: short-term goals and long-term goals. You will be able to accomplish a short-term goal in approximately six months to three years, while it will usually take three to five years to reach a long-term one. Sometimes you can achieve a short-term goal in fewer than three months and a long-term one may take more than five years to complete. To achieve each long-term goal, you must first accomplish a series of both short-term goals and additional long-term goals. For example, let's say you aspire to become a doctor. That may be your ultimate long-term goal, but before you can tackle it, you must achieve a few others, for example, complete college (four years), medical school (another four years), and a medical residency (three to eight years). Along the road to reaching those long-term goals, there are several short-term goals to clear first. They include excelling on entrance exams and applying to college, medical school, and eventually residencies. Since grades matter when it comes to achieving those goals, it is necessary to break your short-term goals down even further, like earning a high grade point average. Have specific goals. You might say, "I want to be successful." Well, who doesn't? But can you define what success means? Success to one person may mean becoming CEO of a company while to another person it may mean getting home from work by 6 pm every day. Your goals must be measurable. Have a timeframe for achieving your goals and a way to determine when you have reached them. Don't be negative. Your goal should be something you want rather than something you want to avoid. It is much better to say, for instance, "I want to improve my skills over the next four years so that I qualify for a better job" than "I don't want to be stuck in this job for another four years." Be realistic. Your long-term goals must be compatible with your abilities and skills. Stating "I want to win a Grammy Award" if you can't sing or play an instrument will set you up for failure. Your goal must be reachable within your time frame. Break a long-term goal down into smaller goals. It is better to take baby steps than one big giant leap. Pair each goal with an action. For instance, if your goal is to become a writer, sign up for a writing class. Be flexible. Don't give up if you encounter barriers that threaten to impede your progress. Instead, modify your goals accordingly. Let's say your need to continue working will keep you from going to college full-time. Although it won't be possible to finish your bachelor's degree in four years, you can enroll in school part-time and take a bit longer. Flexibility also means being willing to let go of goals that are no longer meaningful and instead put your energy into pursuing other ones.